As business and politics shift around the world, various ports are emerging as new (and sometimes surprising) mega-hubs. When you look under the surface, though, a handful of factors are driving the question of which ports will become major worldwide players by 2020. The emerging global shipping hubs have benefitted from significant investments in the necessary airport, shipping, or train transport infrastructure to accommodate global distribution. More specifically, these ports have often deepened their canals, added railway access, or expanded airport cargo handling capacity, Egan says. “A change in infrastructure can have a disruptive effect on global supply chains and change the way shippers choose to enter a market, leading to the emergence of new hubs,” Egan said. The emerging global ports have also often benefited indirectly from infrastructure investments in other areas of the world. Port Miami and Port Everglades in southern Florida, for example, serve as “prime examples” of ports taking advantage of investments in infrastructure both regionally and abroad, Egan said. These investments included the widening of the Panama Canal, facilitating large container boat shipping for Asia to the East Coast of the United States, as well as local investments of $1 billion for both ports to handle the larger ships. 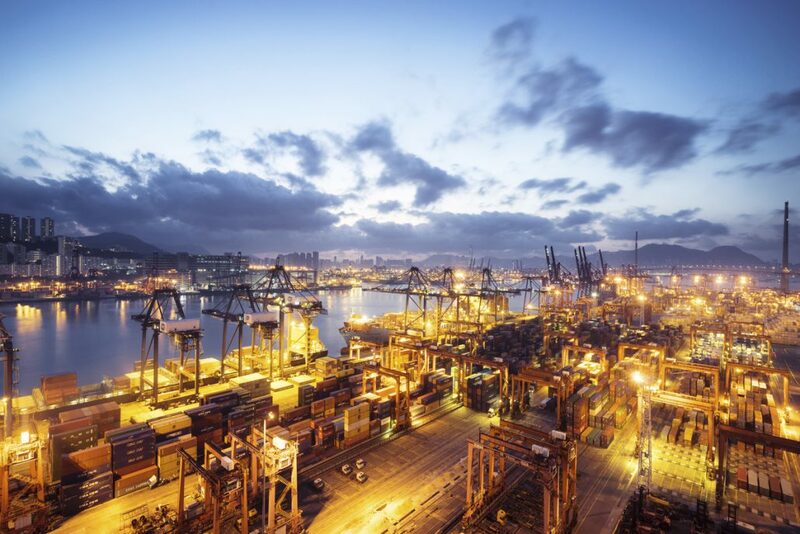 Emerging global ports are seeing a continued influx in commercial traffic thanks to major multilateral trade agreements. Since the singing of the North American Free Trade Agreement (NAFTA) in 1994, over 20 other agreements facilitating trade between South and North America have helped to boost the influx of shipping traffic to the 15 emerging global ports. Another example of a major pact that will boost distribution demand at emerging global port hubs is the Trans-Pacific Partnership (TPP). The TPP has the potential to have “drastic effects on global trade routes and manufacturing demand in Asia,” Egan said. The 12 countries in the Pacific Rim covered by the TPP contribute 40% of world GDP and account for 26% of world exports, according to CBRE. These countries will see lower trade tariffs, streamlined cross-border regulations, and improved market access. “With increased market access and lower trade barriers, the amount of goods moving through this trading bloc is likely to increase,” Egan said. Supply chain networks are expanding to reach consumers around the world where the population and the economy are both growing. According to Brookings Institution, the number of middleclass consumers, defined as persons earning between $10 and $100 per day, is forecasted to grow from 1.8 billion in 2009 to 4.9 billion in 2030. The surge in shipping demand from a new class of consumers in developing economies in Asia, Africa, and South America are especially significant. The top-15 emerging ports must thus be able to handle the resulting distribution demands for the emerging class of consumers. “The shift of these economies toward consumption has resulted in a sharp increase in imports and, correspondingly, growth of [larger global] seaports,” Egan said. Entire industries continue to increasingly relocate supply chains across continents and oceans to save costs or to enter new markets. In order to that, the new global hub ports are meeting the demands of this global supply chain trend, Egan said. Technology-driven retail businesses are placing new demands on distribution hubs that also often must be able to handle global trade demands. The emerging global hubs have thus often successfully adapted to these supply chain disruptions associated with ecommerce, Egan said.